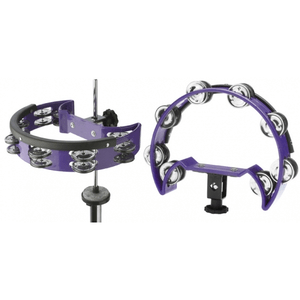 A half moon shaped plastic cutaway tambourine designed for drumset. Featuring two rows of eight jingles and a heavy duty rubber strip to protect both the tambourine and your sticks. Perfect for attaching to any percussion mount or the pull rod of the hi hat stand.